19 years of experience in space planning, kitchen and bath design, finish selection, developing budget requests, and construction design. I have knowledge of building code requirements and regulations and hands-on experience in project management from concept through installation. We are an award-winning full-service interior design firm specializing in Kitchens and Baths. Based in the Sierra Foothills in Loomis, California, C. BOESCH DESIGN has built a reputation on helping clients unlock the full potential of their imagination, bringing each client's dreams to realization. We do not specialize in any one type of design. Instead, we provide thoughtful collaboration with each client and a creative exploration of the project's unique attributes. This process allows for an artful integration of a blank slate with the client's vision and ensures that no two projects are ever the same. Our number one priority is to provide unparalleled and personalized service so that our clients can make informed and enlightened decisions resulting in remarkable design solutions. Dream, Design, Realize! Galleria Kitchens & Baths offers remodeling / new construction services up to 150 miles radius from our Roseville location. With over 27 years experience in the industry, we apply the same quality and care to evey project regardless of size. 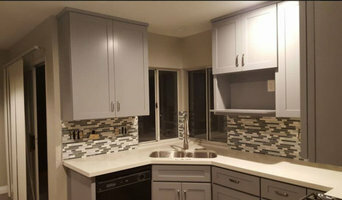 We also offer custom cabinetry, designer tiles/mosaics, hardwood flooring, quartz surfaces, marble/granite/quartzite slabs, knobs and pulls, and more. Our showroom hours are: TUESDAY- FRIDAY from 10:00 am - 5:00 pm; MONDAY & SATURDAY by appointment only, and closed on SUNDAY. Closed on all holidays. 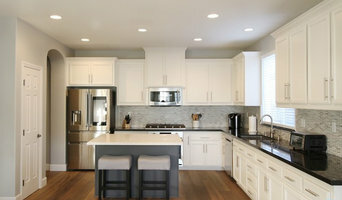 Unique Techniques provides residential kitchen and bathroom design services to homeowners as well as contractors to maximize the functional outcome as well as the aesthetics of a space. Just as each person is unique, so is the design outcome. In addition, interior design services are offered including space planning and color consulting resulting in an individualized design. Hello, My name is Stephanie Greaney. I founded this company over 25 years ago and have been pursuing my love of interior design ever since. I studied design at Cal Berkeley in their Interior Design and Architecture certification program and then the certification program with the National Kitchen and Bath Association which lead to my specialization in Kitchen and Bath design. 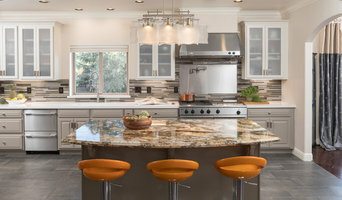 If you are looking to design your dream kitchen and bath, give me a call at (925) 890-2490 or click the "contact me" button to send me a message. I look forward to working with you! 15 years as a professional in the Kitchen & Bath industry. I have worked in every market available and have learned to invent living spaces to no matter what your taste and budget may be. 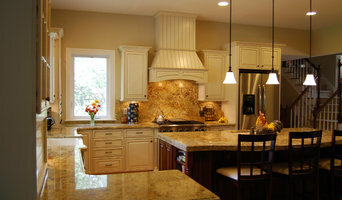 Established in 2002, Kitchen Bath Design by Gloria Clark specializes in high-end cabinetry and remodeling. Come and visit our showroom! Design Inspiration can come from anywhere. We believe in creating spaces that are timeless, functional and sophisticated. Over 14 plus years of experience Savita has managed many small to large scale Interior Design projects. Whether we are involved in small to large scale remodel or customizing a piece of furniture, our mission is to create spaces that are unique and distinctive for our clients.